Wellington’s very own MR FUNGUS returns to the 19th Newtown Festival. He responds to the cues around him… so no two shows are ever really the same. 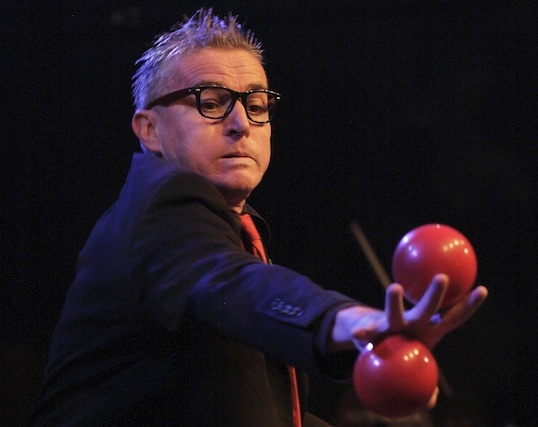 He’s a legend in his own mind… Interactive visual and verbal comedy, juggling and cat-swinging, from one of Newtown’s more eccentric residents. Having played in over 15 countries around the planet over the past 30 years and often traveling to where the next right event might be found – in the past year, among numerous other exciting shows around the country, MR FUNGUS MC’d the Melbourne Juggling Convention, and performed alongside many outstanding International artists at the renowned Port Fairy Folk Festival in Victoria. Check out the latest nonsense from ‘New Zealand’s Loudest Mime’ MR FUNGUS.